The art form known as “hooping” has a diverse and long-standing history. Although it originated in Egypt as early as the tenth century, it swept many nations throughout the world. In England, Switzerland, and America, it was used for various purposes; the Native Americans began hoop dancing as a medium for storytelling, using the hoop as a symbol for the eternal cycle of life. In the twentieth century, the hoop was commercialized. They were sold in stores as toys for children, first in Australia, and then more widely in America, but it wasn’t until the nineties that modern hooping was born. At live shows, bands started throwing them into the audience for fans to dance with, and the trend caught on. It wasn’t long until they were being used at huge festivals such as Burning Man, and the subculture of hoopers began to grow. Today, it’s thought of as an official dance medium; it’s a new way to have fun and burn calories, similar to zumba and jazzercise (which is still painful to say out loud). There was even a hoop dancer on Ellen the other day. How much bigger can the movement get? Of course, the Art World Expo isn’t one to miss an opportunity, so dancers from Hoop You will be performing at this year’s event. The company’s founder, Colleen Costello, started hooping over five years ago, and was shocked at how much she loved it. 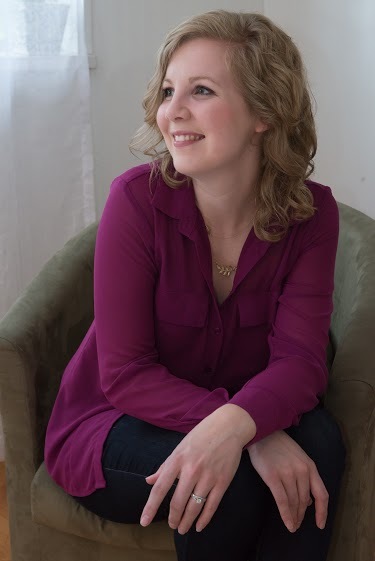 “It completely changed the way I saw myself,” said Colleen. “It created a space for me to jump around and flail like a kid again; to dance just because I felt like it to music that I love. The hoop provides immediate feedback that you’re doing it right (i.e. : it stays up) and it’s easy to forget about how you look while doing it, which as an adult woman, doesn’t happen too often.” Her past experience also encouraged her to pursue hooping. “Having worked as a musician for many years, the stage doesn’t scare me. Music is very integral to dance, so it seemed like a natural leap to make,” she explained. 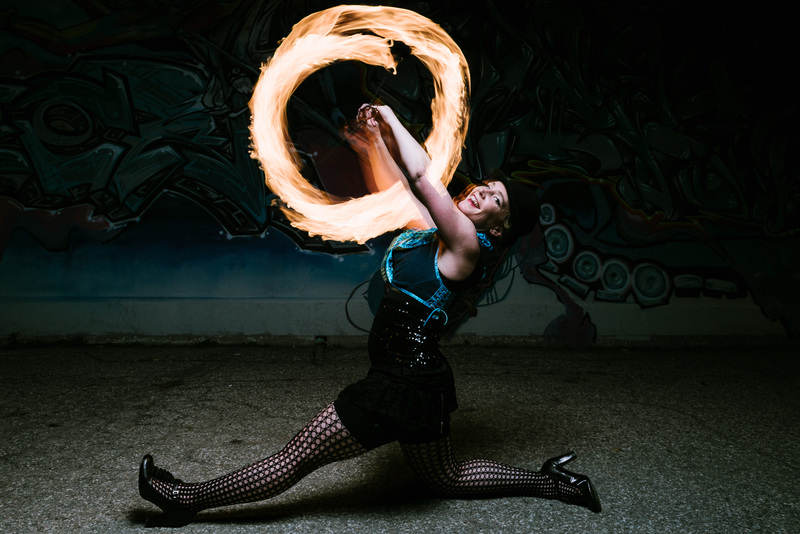 That leap was made with the creation of Hoop You, which covers everything from fire dancing (described by Colleen as having “a literal flare”) to choreographed group hoops. They also do solo shows, and “Fun Zones” or workshops, which encourage public participation in the dances. At the Art World Expo, they will be featuring a hoop troupe hoop (say that five times fast!) with a glow performance, and possibly outdoor fire dancing. The Art World Expo and everyone at MAB Ventures Inc. is equally as excited to work with Hoop You. They stick out in the industry for their genuine intent; hooping is more than just a money making ploy for Colleen and her employees. 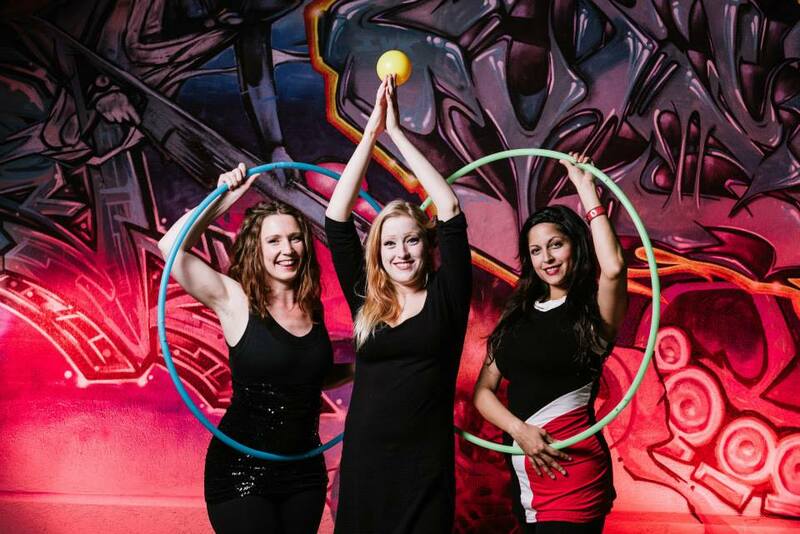 To see Hoop You’s group hoops, glow performances, and fire dancing, attend Toronto’s Art World Expo or visit one of their hoop dance websites to set up your own event! 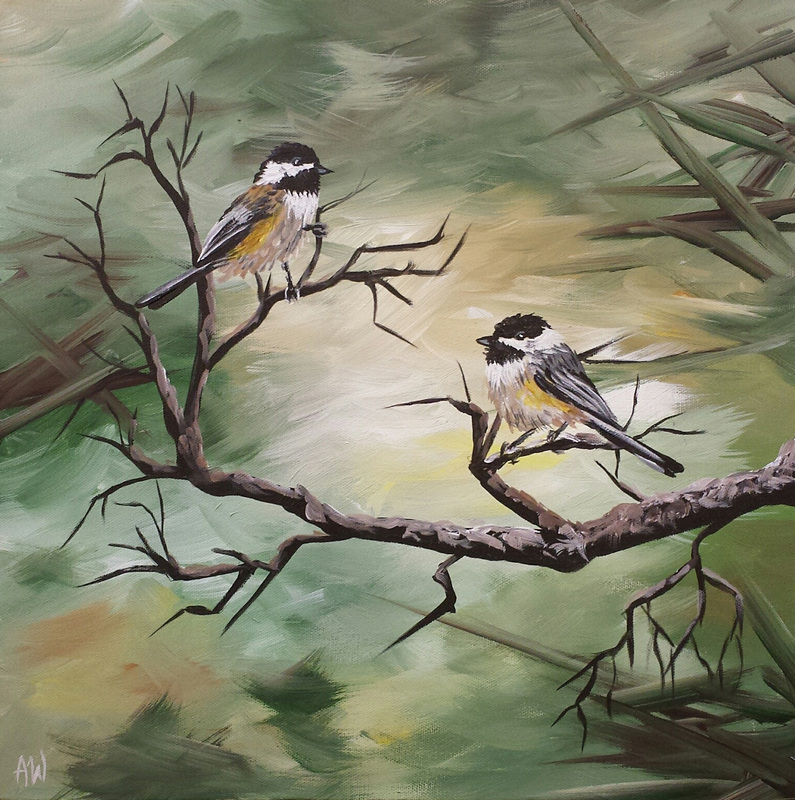 About: Angela Weichel is a local, self-taught artist based out of Langley,B.C..She is inspired by everyday subjects and colours that can come to life on a canvas, and her acrylic paintings include a variety of wild life, landscapes, still life, and portraits. Can you tell the story of how you started out in art? I started painting as gifts for friends and family, until I received my first commission in June 2012. A family wanted to do a culture wall of eight paintings in their home to represent their adopted children and their heritage. Shortly afterwards, I entered into my first public art show and began showing my work. In February of 2014, I joined the Fort Langley Artists Group. This group has been an amazing way to meetand connect with other artists in mycommunity. We have a gallery in Fort Langley, BC at the Heritage CN Train Station. The next opening will be in May! How did you teach yourself how to paint and are you still teaching yourself today? My first time painting, my goal was to make my canvas look just like the photo I was referencing. I used to go from one side to the other to fill the space, which caused issues since I wasn’t creating any backgrounds or layering. I taught myself over time how to be patient and create a painting little by little without getting ahead of myself. Hopefully I will always be learning and growing, as long as I have a brush in my hand! What is it about painting birds that you enjoy? Birds seem to have so much personality. I love to focus in on them as the main subject, letting the background fall away. I also enjoy the fact that there are so many species to choose from and each has their own stunning feathers and colours. What do you love about your hometown of Langley? How did it inspire you artistically? I love that Langley is a “city meets country” kind of place. Wherever I drive, I can picture different spots along the way that would be great to paint. I’m particularly drawn to the sights off Glover Road, the quaint charm of Fort Langley, and pastoral colours set against the backdrop of the Coast Mountains. When you paint a landscape, do the places always exist in reality, or are they often creations of your imagination? They always exist in reality. My favourite landscape experience was during an early morning in August of 2013. I got out early to meet the sunrise behind a barn that I had noticed a few days earlier. I placed my easel on the field and painted the scene as quickly as I could before the sun crept up. It was a beautiful morning! Can you explain what you mean by “still life” and why you are interested in it? Still Life painting is a work of art created from everyday objects. It can be fruit, flowers, a tea pot, or even a bottle of wine. It is totally up to the artist as to how they would like to interpret “still life.” I would love to paint more in this theme. It interests me because there are so many options and it is a great way to challenge myself. Which artists or works of art inspire you? My first inspiration as a high school student was Paul Cezanne (1839-1906). I was taken by his still life paintings and the rough brush stokes that he used in his work. Currently I am inspired by artists like Zaria Forman, and Carol Marine.I love to watch their hard work and the amazing pieces they produce. How has having such a big family impacted you and your life? When I think of my family, I think of Sunday lunch after church. It’s a regular occurrence to see twenty people around the table laughing and sharing our weeks with one another. I have amazing parents who have guided me in my faith, and us siblings challenge each other for the better. But we’ve also had our share of trials: in 1996 we moved half-way across Canada with little more than faith that God would provide for us when we arrived in BC, and we’ve recently suffered a terrible loss to cancer. Our Sundays since then have changed, but we find newfound joy in all the nieces and nephews running around. Through everything, I love my family and thank God for every day I get with them. What do you like about painting portraits, compared to you landscape and other works? Painting a portrait really challenges me to be patient with my work. Emotion is not something you can rush. Every face has a story – and I enjoy using my paint to re-create that story. Can you recall any specific portraits that had a lasting effect on you? My brother (who is a photographer), was on a trip to the Philippines a few years back and he took a photo of a young girl. As soon as I saw it, I knew I had to paint her. She was waiting for a bus that took inner-city children to a place where they received a bath and a fresh pair of clothes. I couldn’t get the look on her face out of my head. These are the types of portraits that I would love to paint more of. 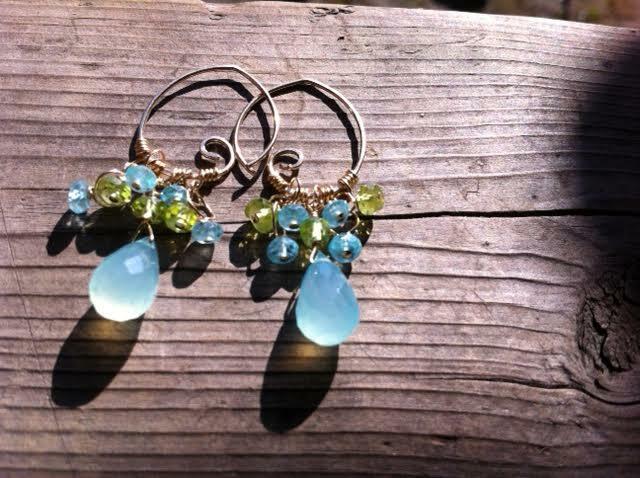 Currently you can find my work on my websiteand on Facebook. Starting in May, I will also have work in the FLAGstop Gallery in Fort Langley. To find out more about these shows, you can visit http://www.fortlangleyartistsgroup.com!